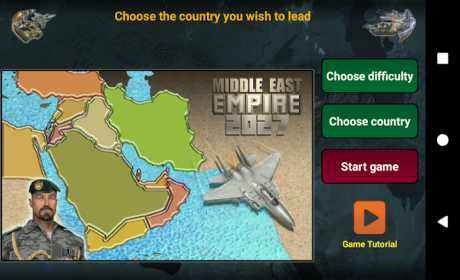 Middle East Empire 2027 game is a free political and strategy turn based game designed in single player mode. The year is 2027 and a big uprising took the existing government in your country. As the leader of the rebels you got unlimited authority in the country. The parliament got your nomination and you way to bring the country to be empire in the Middle East. The game have real data and based on CIA World Factbook. 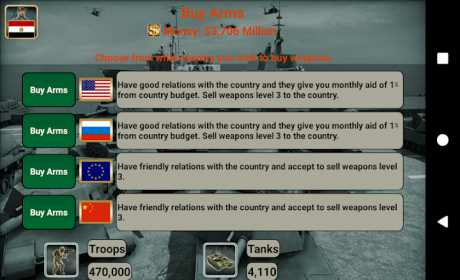 Your support will help us to add new spy missions, diplomacy options and war actions.